Kumar Travels is provider of Taxis and Car on Rent in Nagpur operating most professional, safe, secure, fast Nagpur airport pickup and home drop services. For travelers of Nagpur to Mumbai, Mumbai to Nagpur, Nagpur to Pune and Pune to Nagpur, Kumar Travels provides Nagpur airport taxi services as per your schedule. 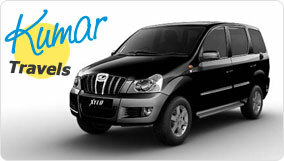 We offer various services like Nagpur Airport Pickup, Nagpur airport Drop facilities to the travelers. All our taxi and cabs are Air-conditioned and we provide 24 X 7 support from our office. All our drivers are well experienced and acquainted with all routes. Once you book a car with us you just have to relax and our professional drivers will take care of your journey when you travel from or to Nagpur airport. Driver's mobile number will be provided so that person who has booked can come to know if their guests have arrived at the Airport and also the person who is arriving can easily get in touch with our drivers. Our driver are helpful and will wait holding a placard bearing the name of person who is arriving at the arrival gates of airport and allowing the passenger to find his car easily. Enjoy the complete experience of travel safe, secure and comfortable journey with Kumar Travels.